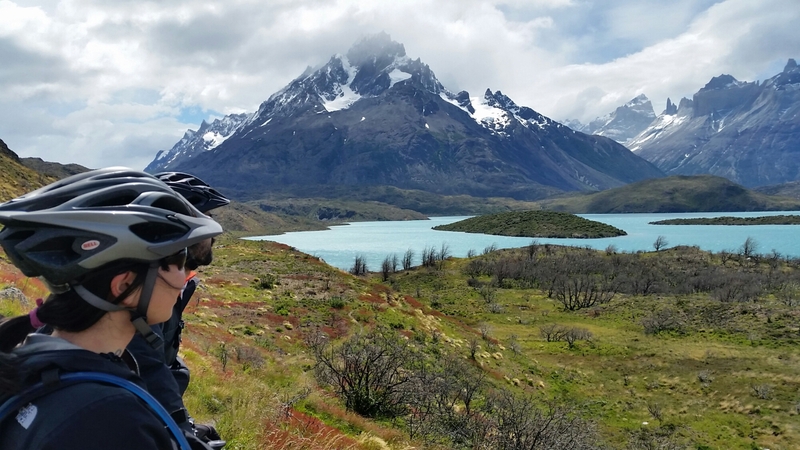 Mountain Biking Patagonia – Jet. Set. Jeanne! 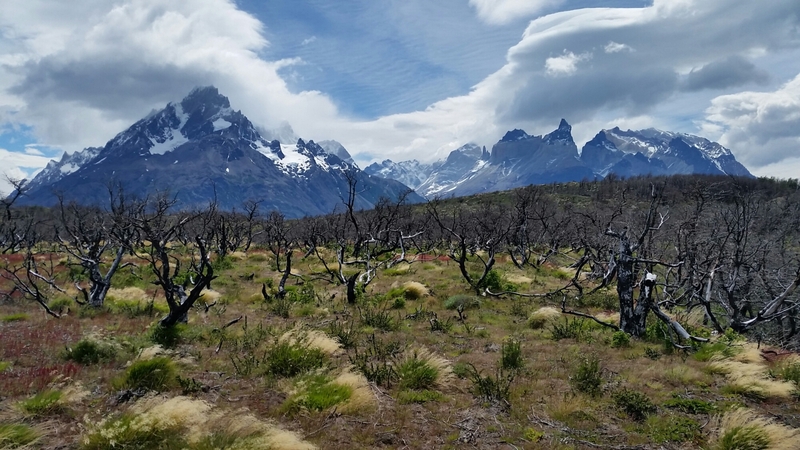 Being battered by 50kmph winds on a typical spring day in Torres del Paine was the least of my problems; my primary concern was that I was an experienced roadie about to get schooled by my first mountain biking experience in Patagonia. 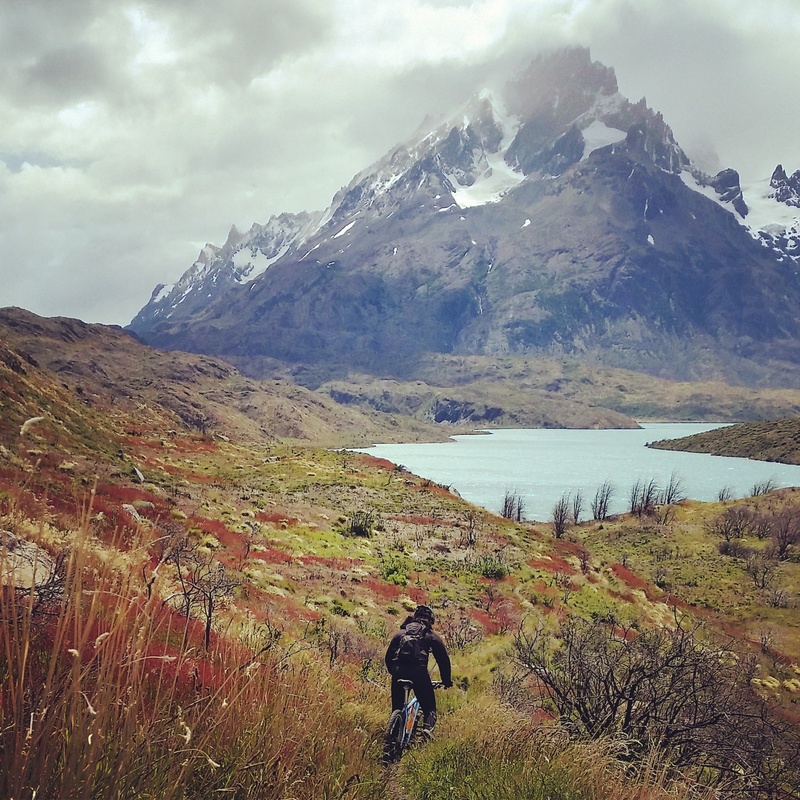 Super rugged terrain, relentlessly steep climbs, and unforgiving single tracks set against the backdrop of extreme weather conditions meant that my task at hand (to bike 36 km across the Paine Massif) would be an extremely demanding one; fortunately, I’d enlisted the expertise of Patagonia Bikes to help make my experience much more enjoyable and far less daunting. Cristian set me up with a gorgeous Gary Fisher Tassajara mountain bike and patiently guided me through wind, rocks, bog, ascents, and descents. 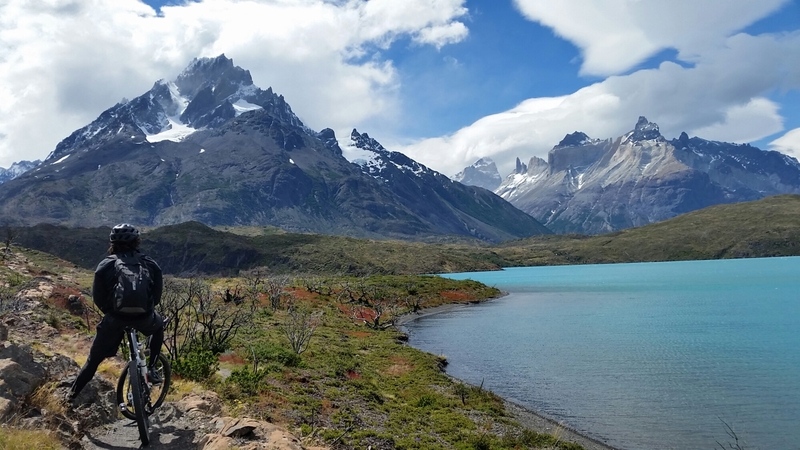 The stunning view you see in the photos is that of the Paine Grande, set against the turquoise-blue Pehoe Lake. It is likely one of the most jaw-dropping and memorizingly beautiful vistas I’ve ever seen in my life of travel and adventure. I’m all smiles here, but don’t let the photo fool you; I had my fair share of frustrations and falls. 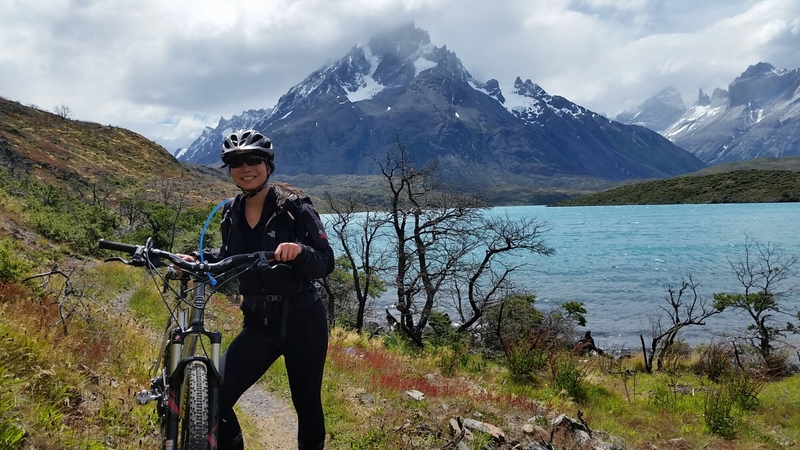 Let’s be honest – I’m an amateur mountain biker at best, and maneuvering the bike in tough conditions and on technical terrain was tricky. A couple of embarrassing falls, a few hours, and many black and blues later, we arrived at our destination: Paine Grande Lodge (refugio). Pure adrenaline and relief washed over me as I biked down the last stretch of downhill trail towards the Refugio. After devouring my packed lunch of salami and cream cheese sandwiches and local chocolate bars, I shamelessly bailed on Cristian for the 18km return ride. Our trip out had literally knocked the wind out of me, so I opted for the catamaran ride back – SAG by water. I was psyched to have survived my first major mountain biking adventure without suffering any major damage (aside from a slightly bruised ego). 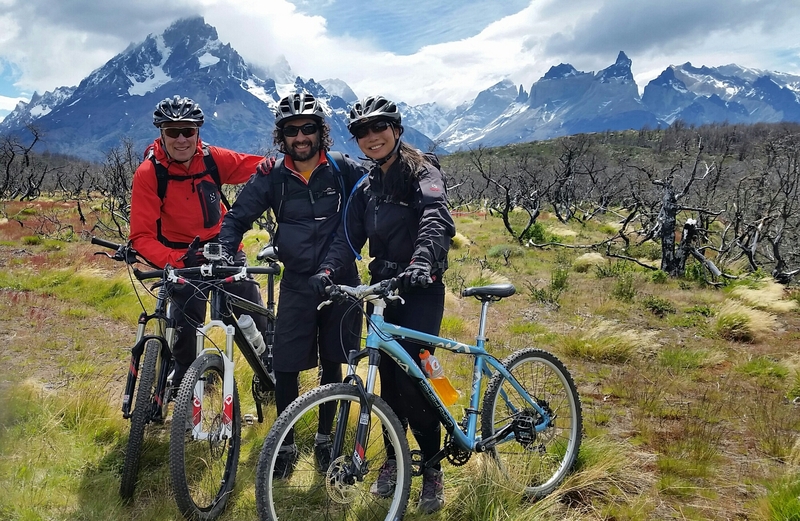 Special thanks to Cristian of Fortaleza Expediciones and Patagonia Bikes for his sharing his expertise, guidance, and patience with me! Awesome photos. Yes, I’m sure you expended energy to deserve some food! Ha, I sure hope so. Thanks Jean!